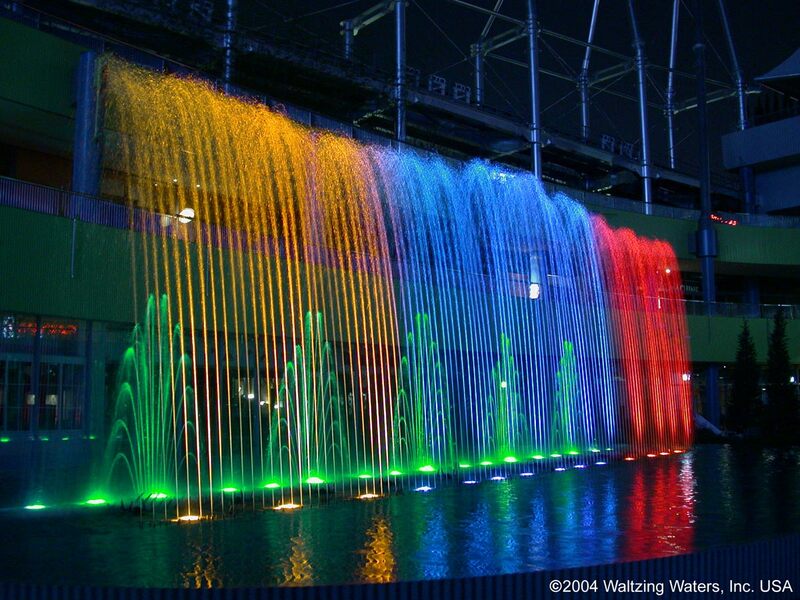 Liquid Fireworks has been serving clients with bespoke commercial fountain designs for over 70 years. With special dichroic filter technology, our water features boast a show that has colours 4 times as bright as ordinary fountains, making them a spectacle to see even during daylight hours. 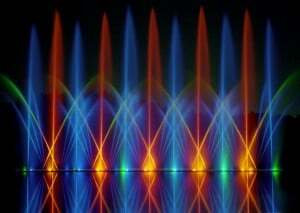 Also, our musical fountains are extremely reliable and once installed, will work without fault for many months. Our bespoke commercial fountains can be adapted to any size! This flexibility makes them ideal for commercial and domestic venues, large or small. Whether it’s a water fountain inside a restaurant, or a grand water show at a theme park, we will have a display to suit your needs. Furthermore, our water fountains are fully bespoke meaning they can be installed to your exact specifications. With experience in working with clients such as Disney, Universal Studios and Sea World, we know how to make a commercial success out of your Liquid Fireworks show. The unforgettable experience it brings will bring in return customers that crave to see more, as well as attract curious new customers. Our expertise and decades of knowledge ensures that your commercial fountain will be installed correctly and that all goes to plan.